Allergies to fruit and vegetables are relatively common. They affect roughly 3 percent of adolescents, according to Sydney Children's Hospital, although these allergies are rarer in younger children. If you are allergic to apples, your body reacts to the protein profilin, which is also found in pollen and grasses. Apple allergies are often linked to hay fever, and can be worse during the pollen season. You may also react to related fruit, such as pears, peaches and cherries. Usually only raw fruit causes a reaction, and you can eat cooked apples, apple sauce, jelly and juice. 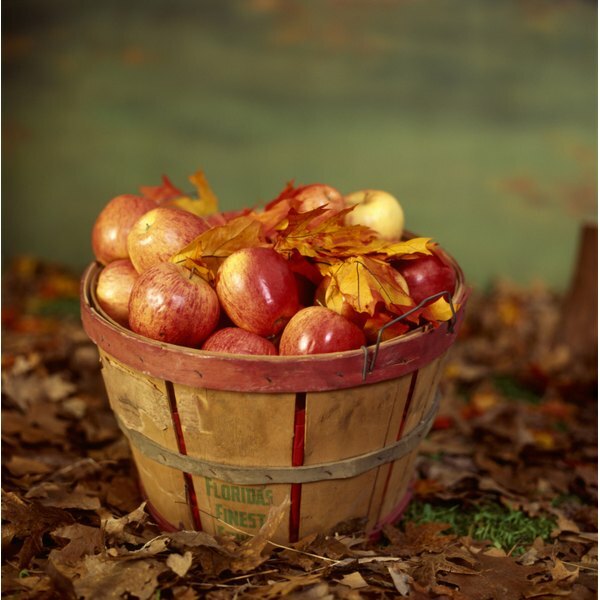 According to the Allergy/Asthma Information Association, apples can cause oral allergy syndrome. Symptoms occur soon after eating, and include an itchy, tingly mouth, lip, and throat. Your lips, tongue and throat may swell, and you may experience watery eyes, runny nose and sneezing. If you've touched the fruit, you may develop a rash and itchy skin. Some people have more serious symptoms such as vomiting, cramps and diarrhea. In rare cases you may have anaphylaxis, a life-threatening reaction where swelling of the throat restricts breathing. If you think you or your child might have an apple allergy, see a doctor as soon as possible. Be prepared to describe your symptoms and keep a food diary, noting any reactions to help identify problem foods. You may be given a physical examination or be asked to take a skin or blood test. In a skin test, your skin is pricked to allow a tiny amount of an allergen beneath the surface. If you're allergic, a rash will develop at that spot. In a blood test, a sample is analyzed for antibodies, your body's response to an allergen. If you have a mild reaction, prescribed or over-the-counter antihistamines can reduce the symptoms. Allergy shots for hay fever may also help. If you have more severe symptoms, such as difficulty breathing, you need immediate treatment with epinephrine. Your doctor may prescribe an autoinjector, such as an Epipen, which you should carry at all times. After use, go straight to the emergency room. The best way to prevent a reaction is to avoid eating or handling raw apples. But you may be able to eat them if you microwave them briefly to a temperature of 176 to 194 F. If you only have mild symptoms, try peeling the fruit, since most of the allergens are in the skin. Since fruit is an important part of a healthy diet, make sure you eat plenty of other fruits and vegetables.